Q: What is the qualification I may be eligible to receive through training? Depending on the courses you enroll in, the qualification you will receive may include the British Psychological Society (BPS) Certificate of Registration for Assistant Test User, Occupational, Test User: Occupational, Ability and Test User: Occupational, Personality. You may also apply for the EFPA European Test User Certificate, Level 2 once you fulfill requirements for the Test User Ability and Test User Personality courses. Q: What am I able to do once I have completed Selection by Design’s Test User training in Occupational Testing? Qualifications at the Test User level can be used as evidence of competence for the use or purchase test materials. Ability, aptitude and career interest tests may be purchased with the Test User: Occupational, Ability qualifications, and personality tests with the Test User: Occupational, Personality qualification. Q: How is my competency as an Occupational Test User determined? Competency as a Test User is evaluated by Selection by Design’s Verified Assessors, through examining each candidate’s completed Assessment Portfolio and observing interactive training activities. Q: Who will assess my competence? Your competence will be assessed by one of Selection by Design’s BPS Verified Assessors. Q: Who awards the competency in occupational testing, and where is this competency recognised? The BPS awards the Test User Certificate(s) of Registration. This is generally accepted as evidence of testing competence within the UK, Ireland and across Europe. A number of UK test publishers distribute testing materials worldwide. Q: What can I write on my CV after completing training in occupational testing? 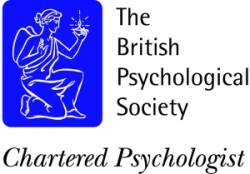 British Psychological Society Certificate of Registration as Test User: Occupational, Ability; British Psychological Society Certificate of Registration as Test User: Occupational, Personality. You may refer to yourself as a Registered Test User once you have registered your test user qualifications with the BPS. Q: Is Test User training in Occupational Testing appropriate for persons who have not completed a degree in psychology? We have designed our training so persons with limited backgrounds in psychology or statistics will be able to successfully complete the course. If you have any particular concerns, please contact us. Q: Do test publishers have to accept the BPS Test User qualifications? The majority of test publishers will accept the Test User qualifications as evidence for test access. The BPS note that while publishers and suppliers of test materials cannot be bound by the Society, the Society encourages them to accept the appropriate BPS qualifications as a basis for test purchase eligibility (see the BPS Test Users Handbook). Suppliers of tests may require evidence of additional competence before access to specific tests is granted or may require users to have additional specialist training in the use of particular instruments. It is the responsibility of the Test User to check the access arrangements for specific tests with publishers directly.